When you walk into a vacant position at a new school, replacing the last beloved math teacher, you are an unknown quantity, and the unknown can be suspect. I was surprised at how intense the resistance was when I started teaching at a new school this year. Math is my specialty, and I had been teaching in a similar program for five years, successfully implementing a math curriculum for adult students, which emphasizes conceptual understanding, beginning with real world contexts, and building on prior knowledge. I was used to students feeling confused by math class that was different than when they were in school, or the period of transition that is sometimes required to help students build confidence in their own reasoning. But usually, students came to appreciate the emphasis on reasoning, problem solving, modeling, and defending and evaluating each other’s thinking. I decided to begin this school year with a review of “benchmark” fractions, decimals, and percentages like 1/2, 1/4, 3/4, and 1/10. Students who were returning to the class had studied decimals the previous year and were quick to point out that they could use a calculator to multiply by a decimal to find the needed portion. When we discussed how to find a quarter of a whole, for example, they knew they could multiply by .25. I affirmed that this was true, and a reliable method to find one quarter. And I watched carefully. Sometimes these students could complete the work with their method, and sometimes they could not. Often they would accidentally divide by .25 on their calculators, and come up with a quarter that was much larger than their whole — four times larger, in fact. When I pointed this out to them, they were not sure why this was so. Furthermore, they could not explain why their result did not make sense, instead punching the numbers into the calculator again to try to get a result that I would deem correct. I expected some of this, and I tried to get a few of these students to let me draw some models and number lines to help them “see” what was going on. Other students shared their (generally simpler, more intuitive) method of dividing the whole by four. I expected that all the students would eagerly adopt these techniques, especially since they were clearly getting mixed results with what they “knew” about multiplying decimals. Instead, resistance was strong. Several students refused to try any modeling or other techniques. They continued their hit or miss work with the calculator, and complained loudly that they were wasting time on something they had already learned. Students complained that what we were learning was not on the HiSet. I took this complaint seriously and went through several practice HiSet tests, pulled out questions involving benchmark fractions, and adapted them for my class. Although all of the questions used only halves or quarters, they required a deep understanding of the concepts. When students made comments about how hard the problems were, I expressed confidence in their ability to reason them out, and took the opportunity to explain that problems like this require a lot of practice thinking critically, which is why I was planning to have them do just that in class. As I remained patient and allowed these students to make choices about how they approached their work, one finally opened up, explaining how she was frustrated with herself because she felt like she should understand the material better, having studied it previously. This made me grateful that I had affirmed the method these students were using, because I now realize how it represented a lot of previous effort and real learning on their part. What this student had said gave me a new perspective on the situation, and I thanked her for that. I also told her that reviewing a concept is not starting over, it about deepening and making the knowledge more permanent. Recently, one of the initially resistant students agreed to meet with me after school to go over some work. This time, as I used a number line to explain how to find the whole when given 75%, she said, “You know, I guess the picture really does help.” I then watched her use the number line to think through several more problems on her own. Success – not because she was using the method I taught her, but because it did help. That was the kind of victory we could both appreciate. 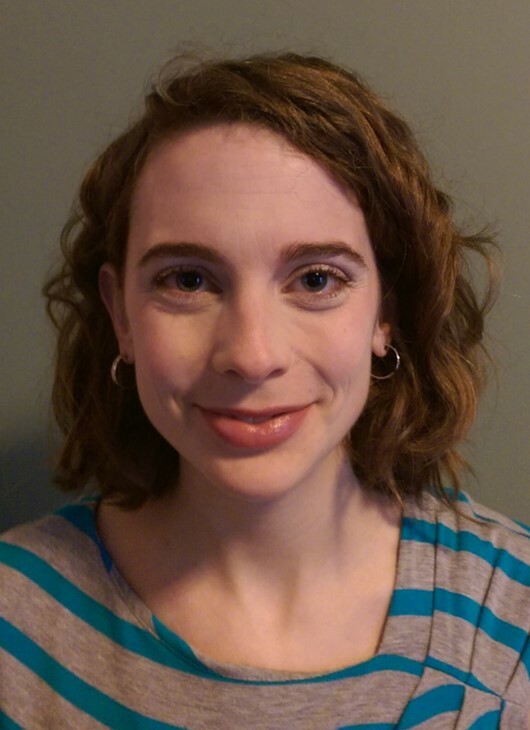 Melissa Braaten is an adult education instructor at St. Mary’s Center for Women and Children in Dorchester, MA. Melissa has taught ASE and pre-ASE math and reading, as well as ABE writing, computer skills, and health classes. Melissa also is a training and curriculum development specialist for the SABES PD Center for Mathematics and Adult Numeracy at TERC.